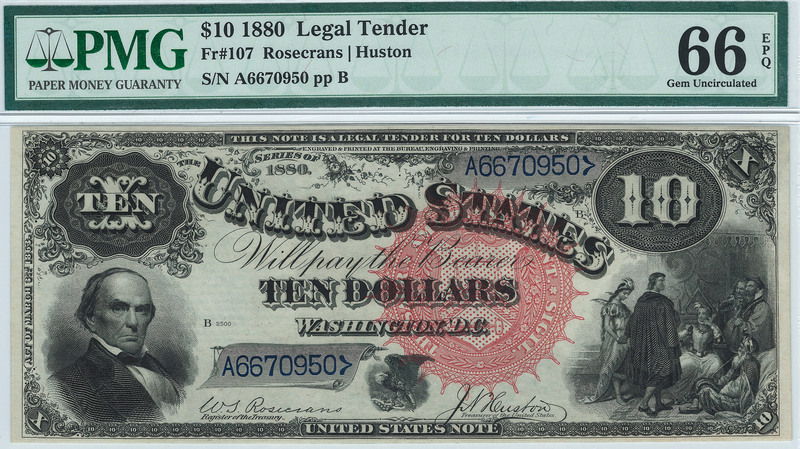 This 1880 $10 Legal Tender features the large red spiked seal with deep dark blue serial numbers. On the left is the head of Daniel Webster, Secretary of State in 1841 and from 1850-1852. On the right is Indian Princess Pocahontas being presented to England’s Royal Court. 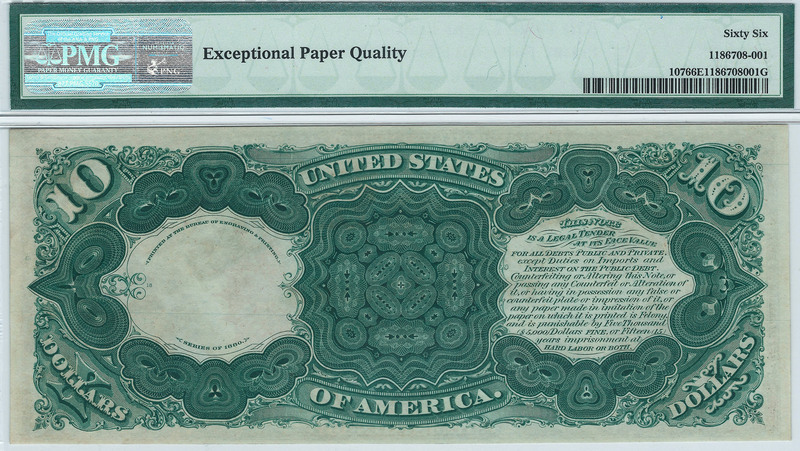 This is the also sometimes referred to as the famous Jackass Note because the Eagle at the bottom of the note looks like the head of a Jackass when the note is held upside down. This is one of the finest Jackass notes you will see anywhere. The serial number is A6670950 and is in a PMG-66EPQ holder. This will end up in a collection that requires only the finest.